The Front N Center building in downtown Bloomington. The Front N Center building, located between Madison, Center, and Front streets in the heart of downtown, has long been an eyesore for city leaders looking to revitalize the area. 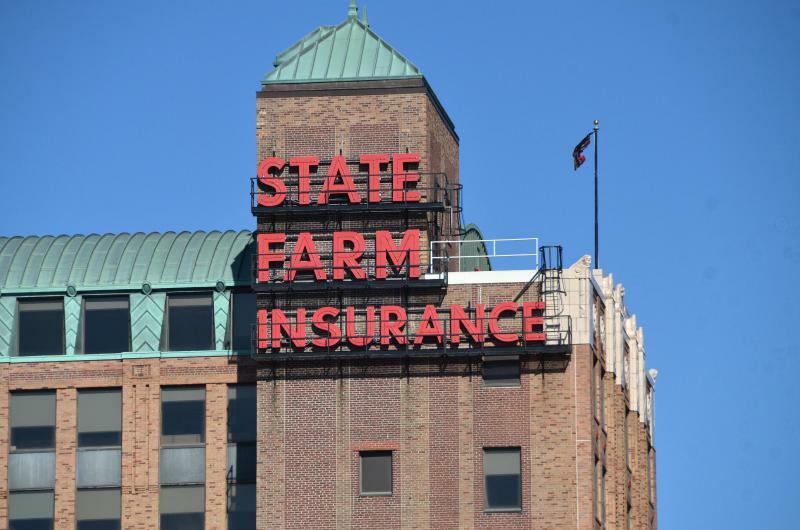 Downtown revitalization efforts have taken on new urgency in the months since the Downtown Task Force’s report and State Farm said it's vacated and plans to sell its former headquarters. Renner said the city “absolutely” has options for trying to acquire the Front N Center building through eminent domain. “It takes a long time, and it’s costly legally, but that’s one of the things we’re talking about this summer is how quickly and decisively do we move with eminent domain on the Front N Center building,” Renner said on GLT's Sound Ideas. The city has not historically used eminent domain for economic development. In general, to do so a city must establish a redevelopment plan, declare an area to be blighted, and provide just compensation to the property owner, said Bob Mahrt, the city’s director of community development. In 2016 the Bloomington City Council created a tax-increment financing (TIF) district that contains the Front N Center building, hoping to induce development interest and improve public infrastructure. There has been some talk about turning the property into a hotel, but those plans haven’t advanced. The Front N Center property “did contain documented ‘blighting’ factors necessary for designation as a tax increment financing project area,” Mahrt said. “With this TIF district now in place, the City of Bloomington has additional mechanisms and incentives to support anticipated redevelopment in this area,” he added. City officials last toured the inside of the Front N Center building in 2015, Mahrt said. At that time, building code concerns were addressed by the property owner, he said. “While the property is vacant, the structure appears to be structurally sound and in compliance with applicable building codes based on the current use (i.e. vacant building). In addition, the property has annually been listed on the Neighborhood Preservation Ordinance Registry and the exterior of the property is routinely monitored for compliance with the Property Maintenance Code,” Mahrt said. A 2016 appraisal report prepared for the city said the Front N Center building had “severe functional obsolescence owing to the lack of functioning mechanical systems, lack of a functioning elevator, (and) apparent severe deterioration of the roof and physical structure,” among other issues. The Front N Center building is owned by the Huff family. A message left with the Huffs was not returned. “If there ever was a case for eminent domain, the Front N Center building ought to be a poster child for that,” Renner said. A potential Connect Transit transfer center in Downtown Bloomington is still on the table. 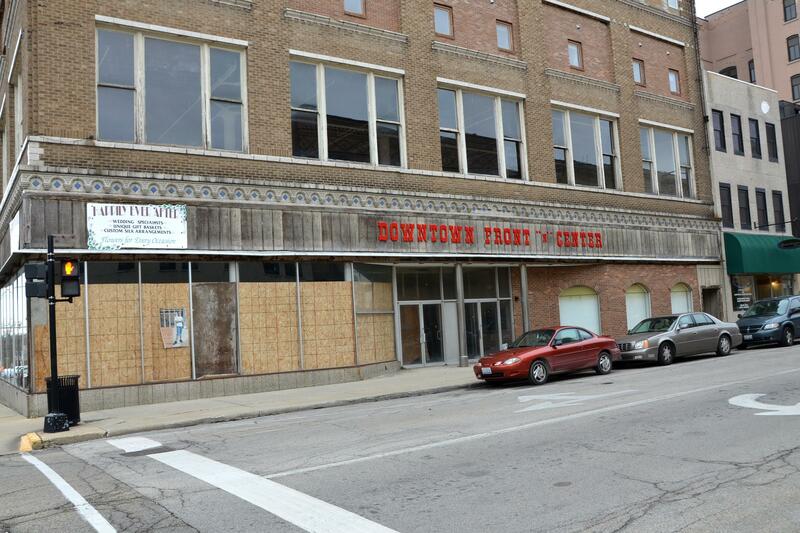 State Farm told City of Bloomington leaders Monday it plans to sell its newly vacated downtown building. Three government bodies met jointly Tuesday night to nudge forward an ambitious plan to build a new library and transit center in downtown Bloomington, even as several officials noted a lack of public buy-in as one major hurdle to the effort.